I've taken Heidi to watch Disney on Ice before and we both loved the show - full of Disney magic, the show creates memories we will never forget. 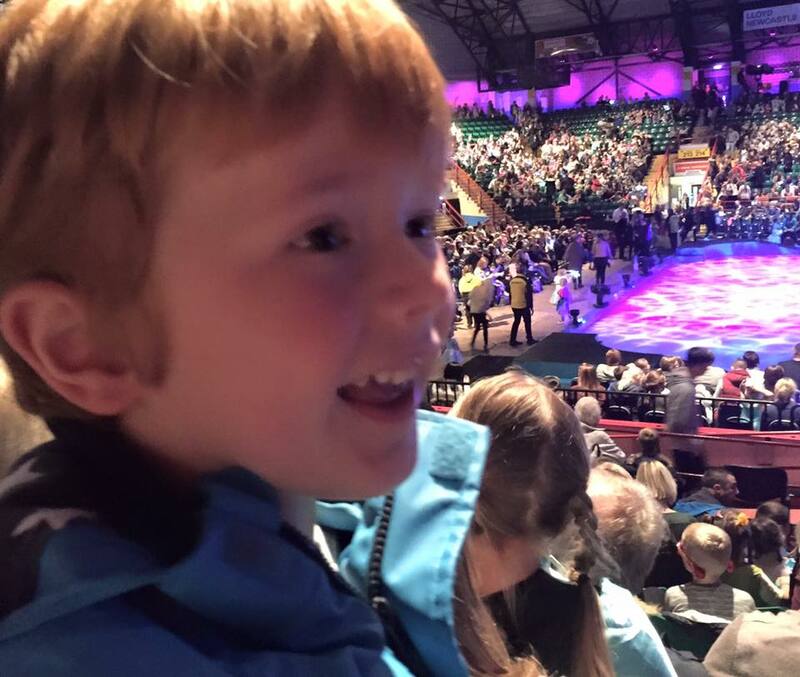 Heidi was kindly given tickets to this year's show for her birthday but I didn't want to miss out so we decided to take Jack (aged 4) and his friend for their first Disney on Ice experience instead. As you can see the boys were super excited and couldn't wait for the show to begin. I was a little worried that the show may be a little girly however with the cast from Toy Story, A Little Mermaid, Cars and Frozen, the boys (and us) were in for a real treat. Love the look on Jack's face as the show is about to start! The first half was mainly taken up with the tale of Toy Story 3 which was re-enacted on ice. How they managed to condense the full story down into 30 minutes or so I will never know as they didn't seem to miss any parts out! The crowd were delighted as Buzz, Woody and friends skated and danced in front of their eyes. The real stars of the first scene for me though were barbie and ken - for a second I forgot they were actual humans, it was just like watching a real life barbie doll skate on the ice. Many lifts, spins and twirls allowed the skaters to show off their talent too. Next up, we were taken on an 'under the sea' adventure with Ariel and her friends - they even managed a skating Ursula! The ice was transformed underwater and we enjoyed having so many places and skaters to watch. Famous songs from the film had the audience singing along too. After a short interval (where we avoided the rather over-priced merchandise) it was time for the second half and the boys' eyes were as wide as saucers as Lightening McQueen and his pals whizzed around the ice before them. I think even the grown ups were impressed with their skills. Finally, it was time for the part everyone had been waiting for - Frozen! The atmosphere was electric as Elsa and Ana appeared in front of our eyes. All of the children in the audience were screaming at the tops of their voices and couldn't believe that the real Disney Princesses were really there before them. We watched as the ice rink turned into a snow storm, Ana suffer a frozen heart and even Olaf waddle around to 'Summer'. All of the songs were played and the whole audience sang along together. Children were out of their seats dancing and I genuinely don't think some could believe their eyes. 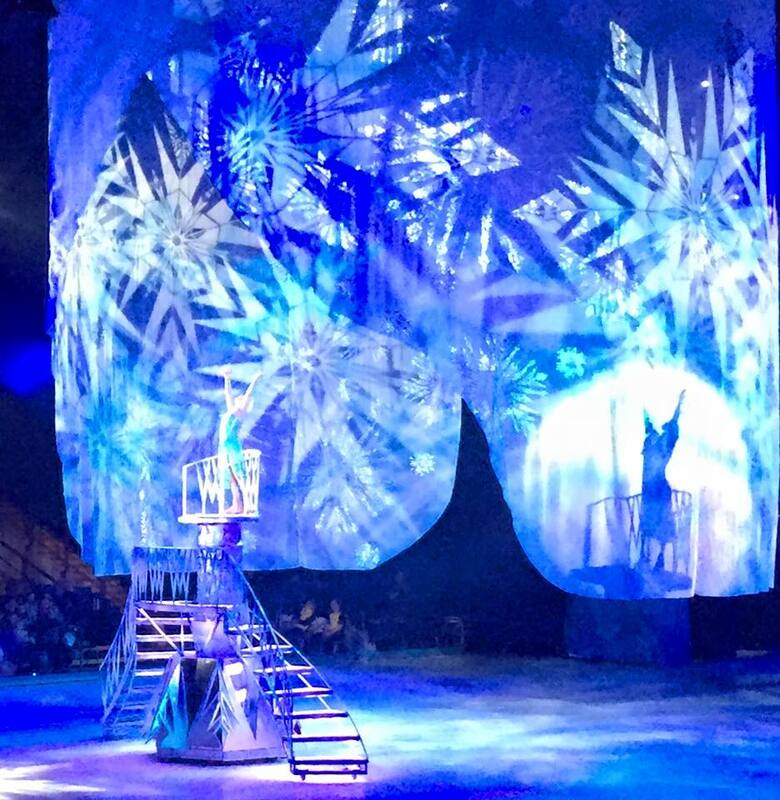 The boys absolutely loved seeing the cast of Frozen and when asked, Jack said this was his favourite part. As an adult, I completely agree, the cast were superb and really captured the mannerisms and spirit of the characters well. The show ended at 9pm which I did worry may be a little too late for a school night, however the boys lasted really well and chattered excitedly all the way home. My friend turned to me and said we have made some really special memories there and I agree! Just look at their little faces in this mini video we made - you can clearly see how excited both boys were. 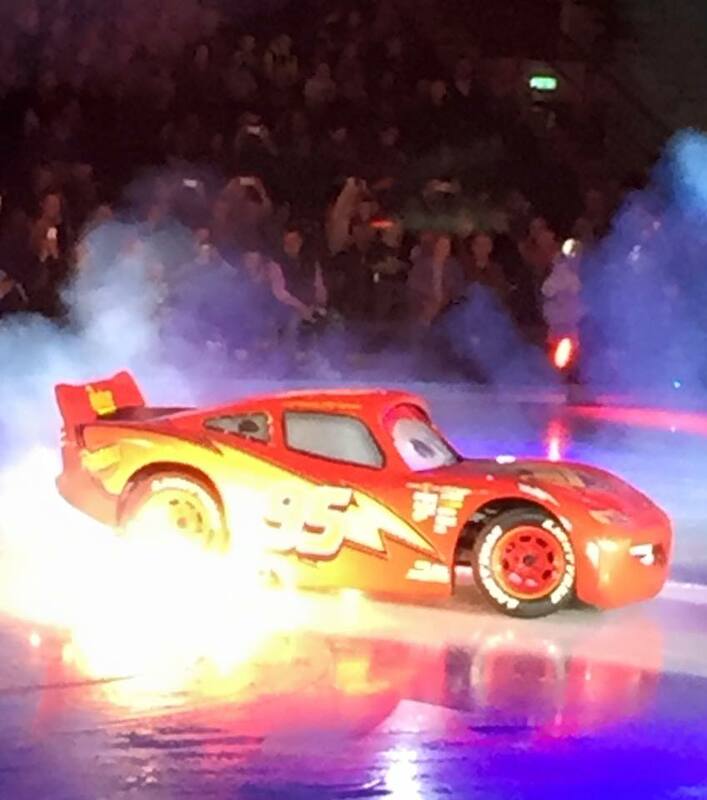 Disney on Ice continues in Newcastle from now until 11th October and then in Manchester until 18th October. Oh wow, is it the sort of show which makes you want to cry a little bit as you feel a bit overwhelmed??? I got like that at In The Night Garden Live, since becoming a mum I have become such a wuss! It looks great though, interesting as Master ATWWAH is 4 but I can't imagine he'd stay awake that long. When it comes back to London I'll check out any matinees. Jack and his friend look like they had a great time. Yes I did get a little overwhelmed with emotion - especially during A little mermaid and frozen! What are we like! I would love to take my children to see this but I think tickets are soooo expensive. I should probably take them whilst they are young enough to love the Disney magic though. Wow looks like fun. Am sure they had a nice time. I took my daughter to a Disney on ice performance quite a few years ago now. I remember enjoying it more than she did. Thankfully we had seats that were high up on the side as she spent the whole time dancing up and down the corridor. I so want to do this with my kids, just haven't had the chance yet. I remember seeing similar when I was a kid. This looks so fun, I would love to see Disney on Ice! I love Disney on ice. We took j when she had just turned 2 before we had S and she was a tad too young and got tired / over stimulated and we had to leave early. Would love to go back again now she is older but the price does put us off! This sounds like an amazing show. I'm so glad your boys had a good time. I think my daughters would love it too. We are going next Sunday. I haven't told the girls, they are going to absolutely love it!!! It looks amazing. My girls loved Disney on Ice when we went to see it - it is so good isn't it! Aww I've always wanted to watch Disney on ice. I can imagine it to be so wonderful! 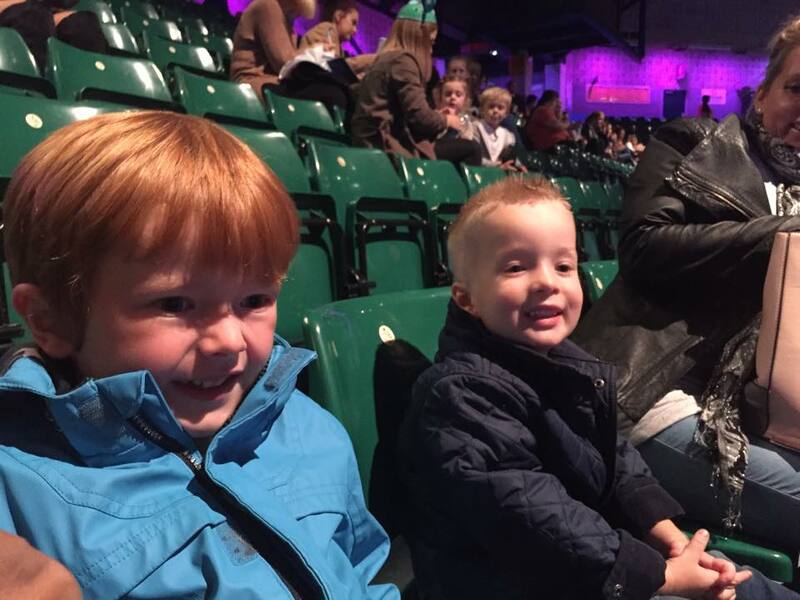 I think Disney on Ice would be great at any age but these photos are too cute! Wow, this is one of the shows I would love to see myself. I went to Disney On Ice when I was younger and me and my brother got separated from the group we went with. I ended up having to be a grown up at like five years old and we got a ride home with a coach full of elderly people. It's such a vivid memory in my mind, haha! Looks like you had great fun.